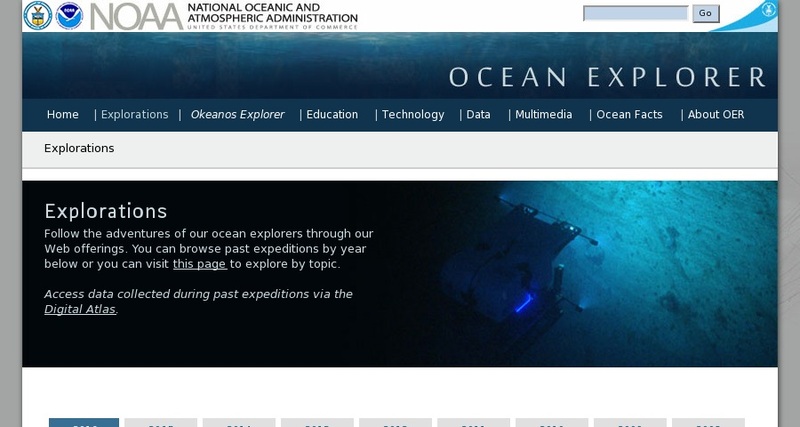 Follow ocean explorations in near real-time, learn about ocean exploration technologies, observe remote marine flora and fauna in the multimedia gallery, review NOAA's 200-year history of ocean exploration, and discover additional NOAA resources in a virtual library. View current expeditions or take a look back at the archived ones. Most expeditions feature fact sheets, photographs, explorer logs, and ask an explorer.